BARS Exchange | Aggregated blogs on Romantic Studies - please click through to read full posts. Aggregated blogs on Romantic Studies – please click through to read full posts. ​Britain continues to experience the aftershocks of perhaps the most divisive General Election since Clement Atlee’s Labour Party ousted Winston Churchill’s Tories in 1945. With Labour’s narrow defeat on 8 June 2017, the National Health Service and other key public services remain vulnerable to a relentless programme of state shrinking. By the same token, deregulation, a 1% public sector pay cap and the removal of Welfare State safety nets will reduce further the living standards and life chances of low earners, children and vulnerable citizens throughout the UK. In the last year, over a million people – the homeless, ill, unemployed, veterans, single parents, nurses – were forced to rely on food banks. Incredible as it may seem in the tenth most prosperous country in the world, bare-ribbed Austerity continues to stalk the land. 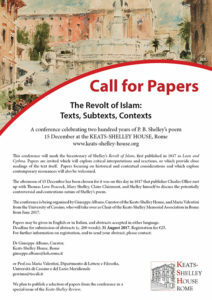 The call for papers is now open for an exciting conference in Rome this December, hosted by the Keats-Shelley House. This conference will mark the bicentenary of Shelley’s Revolt of Islam, first published in 1817 as Laon and Cythna. Papers are invited which will explore critical interpretations and reactions, or which provide close readings of the text itself. Papers focusing on historical and contextual considerations and which explore contemporary resonances will also be welcomed. The afternoon of 15 December has been chosen, for it was on this day in 1817 that publisher Charles Ollier met up with Thomas Love Peacock, Mary Shelley, Claire Clairmont, and Shelley himself to discuss the potentially controversial and contentious nature of Shelley’s poem. The conference is being organised by Giuseppe Albano, Curator of the Keats-Shelley House, and Maria Valentini from the University of Cassino, who will take over as Chair of the Keats-Shelley Memorial Association in Rome from June 2017. Papers may be given in English or in Italian, and abstracts accepted in either language. Deadline for submission of abstracts (c. 200 words): 31 August 2017. The year 2017-2018 marks multiple anniversaries that will be commemorated transnationally: the deaths of Mme de Staël and Jane Austen, the birth of Stanley Kubrick, the release of The Beatles album “Sgt Pepper’s Lonely Hearts Club Band”, the end of World War One and the subsequent creation of new nation states, the Russian Revolution and the signing of the Maastricht Treaty. Why and how will these literary figures, cultural productions and historical events be remembered/celebrated in individual countries and across Europe? In what ways and to what extent are these commemorations transferred from one cultural space to another across and beyond the British Isles? The full programme and registration details for ‘Sibylline Leaves: Chaos and Compilation in the Romantic Period’ (Birkbeck, London: 20 & 21 July 2017) are now available. Details can be found here. What would Mary Shelley quip about Romanticism, scholarship, or the current state of the world? Now is your chance to riff in the Keats-Shelley Association’s caption contest for its new series of informational postcards. 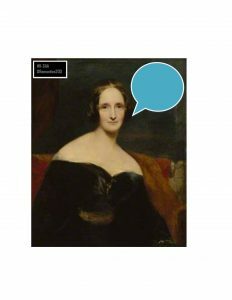 Please help us create the picture caption for our first postcard, featuring Mary Shelley, which will be distributed at various conferences and Romantics 200 events. In addition to bragging rights, the winner will receive “captioned by” credit on the back of that K-SAA postcard. With John Keats, Percy Bysshe Shelley, and others to be featured on cards to come, there will be several opportunities for you to participate. Don’t be the last person to submit your caption! Entries limited to 140 characters. Send to our Twitter (@KSAAcomm), Facebook (Keats-Shelley Association of America), or email (info@K-SAA.org) by June 26th. All are welcome to submit and encouraged to disseminate widely. 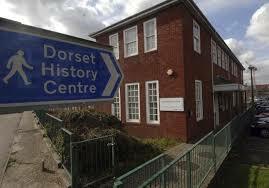 The Archive Spotlight series continues with a post by Elizabeth Spencer (PhD Candidate, History, University of York), on her findings after a research visit to Dorset History Centre in Dorchester. The papers of the Reverend William Ettrick (1757-1847), although not appropriate material for Elizabeth’s thesis, did however tell a rather intriguing tale, which she recounts here. Would you like to contribute to this series? For more information, please contact Anna Mercer. Abstracts for posters and 20-minute papers are invited for a three-day, interdisciplinary conference and workshop covering all aspects of the making, collecting and reception of colour prints in the long eighteenth century. The convenors particularly welcome proposals from book historians and scholars of illustration. We’ve just published the full programme for our London workshop, ‘Institutions as Networks’, on the main event page on our website. This workshop will take place on the 13th and 14th of July at the Society of Antiquaries’ premises in London. We’re very excited about the line-up of speakers and think that it promises to be a really fascinating couple of days. If after looking at the programme your interest is piqued, we have a limited number of spaces available for delegates – to make your interest known, please email us on institutionsofliterature@gmail.com. The event has no registration fee and fully catered – all we ask is that if you sign up to attend, you make every effort to do so, as otherwise the costs that we incur will go to waste. Hope to see a number of you in London in July for our second round of discussions!